I love to share the seasonal advice from Master Liu He: she always gives very practical advice. I admit that I have a hard time following all of it, but I do my best! Perhaps you will find some pearls of wisdom in her words as well. With the beginning of the Chinese Lunar New Year, we all give birth to Shao Yang Qi “Young Yang Qi”. Just as giving birth to a new baby, this “Young” Yang needs to be tended and developed for the yang to grow through the seasons. 1. Stay warm. In some areas the weather is beginning to warm however you want to keep your feet and legs warm. Not wearing sandals and shorts. 2. Wear loose clothes and relax as much as possible. Do not overexert yourself. 3. 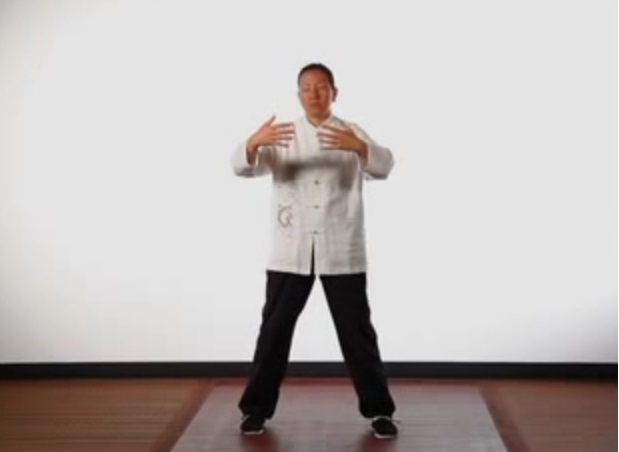 Practicing Qigong for the Liver and Gallbladder. 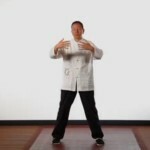 Here is the Youtube link for Liver Purification Qigong. Jade Woman is also another form to practice at this time of year. 4. Walk gently for 30-45 minutes outside. No excessive sports or sweating. 5. Drink mung bean juice after breakfast. 6. Eat a small amount of sweet flavored foods to facilitate the gentle rising of the Liver Qi. Do not eat a lot of sour flavored foods as this draws the Liver Qi in and down. 7. Do not eat spicy foods. Spicy foods contain a lot of heat and has potential to harm the Liver Qi. 8. Go to bed a little later then in winter however not later then 10:30pm. 9. Continue to soak feet in warm water before bed. Wishing you a happy birth Qi! On February 8, 2016 we will shift out of the year of the nurturing Yin Wood Sheep and into the year of the passionate Yang Fire Monkey. As the name suggests, the year of the Yang Fire Monkey is all about having fun, taking risks, being proactive and going after what you truly desire. Yang energy is action based energy, so 2016 will really favor making bold decisions, getting ahead and staying assertive. When abused, however, the Year of the Fire Monkey can leave you financially ruined, left behind, or stuck in hot water. The Fire Monkey knows exactly how to get what it wants and is not afraid to play games in order to get it, so just be mindful over getting sucked into this energy. Another thing to be mindful of in the year of the Fire Monkey is to avoid getting stuck in a repetitive pattern or cycle. Sometimes the monkey, as smart as he is, can get stuck in leaping in a circle again and again and wondering why he is not moving forward. The year of the Fire Monkey can also be unpredictable, so try not to be too rigid in your plans this year as things are likely to surprise you. It may also be helpful to keep a sense of humor this year, as the cheeky Fire Monkey has a big bag of tricks to use and may send you on a bit of a roller-coaster in order to get you where you need to be. In matters of love and relationships, the year of the Fire Monkey favours fun social gatherings, meeting new people and forming new friendships. This would definitely be the year to look for love within your own friendship circle. By nature, the Fire Monkey is flirtatious, passionate and lively. This year may bring a lot of short, passionate romances as well the desire to explore your sexuality. Long term relationships can be strained under the Fire Monkey due to issues surrounding trust, ego, jealousy and control. However, when channeled positively, this energy can bring excitement, a stronger sense of intimacy and growth. The Fire Monkey is here to shake up some energy and help us all to see things with a fresh, new perspective. 2016 is expected to be an innovative and powerful year and those who are able to go with the flow, make bold choices and keep their eyes on their target are likely to do well with the energy of the Fire Monkey. In Chinese Astrology, the year of the Fire Monkey is most fortunate for those born under the sign of the Dragon, Rat, Snake and Monkey.